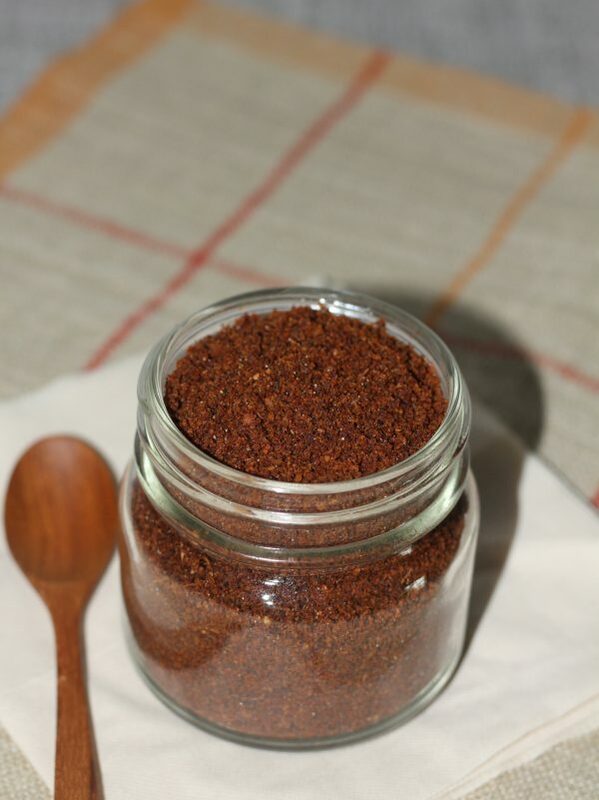 Chammanthi podi/ Veppilakkatti is a chutney powder made with dry roasted coconut, curry leaves, tamarind and spices. Add grated coconut, curry leaves, shallot, ginger, black peppercorn and fenugreek seeds to a deep wide pan. Roast it together till light brown color. Add chilli powder, coriander powder, tamarind and salt, roast it again till deep brown color. (Stir it continuously to ensure even roasting). Allow the mixture to cool completely and grind it into a coarse or fine powder. Store in an airtight glass bottle. Serve with rice.